A new way of promoting your business or product is by sending bulk SMS to your existing as well as potential customers. VTel.in provides helpful services with their innovative messaging system. The customers can access the messages that are sent to them from anywhere. 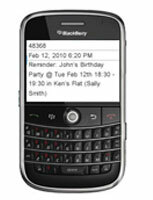 We have identified and developed a wide range of SMS utilities. If you are looking for a simpler way of branding and maintaining dynamic marketing, advertising and communication concepts, the best solution is through SMS. We use all kinds of advanced technologies to take care of all the marketing needs of organizations. We at VTel.in offer special packages for huge marketing campaigns to send bulk SMS at a really low cost. With the tools that we offer, you can easily improve your company’s utilities and performance. This is the easiest way of disseminating information to the company’s customers. At VTel.in, we help in boosting the business of advertisers and the sales of their customers. With the SMS services, personalized advertising has gained a huge momentum. Many small and medium sized companies and businesses, who had had to spend a large sum for advertising, have found the marketing tools offered by us to be very beneficial because of their affordability, wide reach, instant delivery and measurable results. We provide All-India coverage for all networks including BSNL, MTNL, Idea, Airtel and Vodafone.